Right click on My Computer/This Pc . 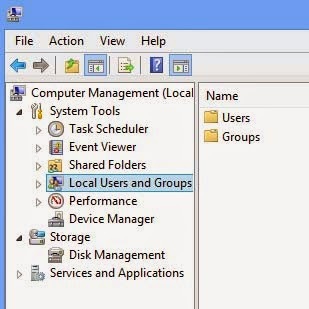 Click on local users and group . Right Click on User Name which you want to change the password . Clcik on Set Password . Enter you new Password . Conform you New Password . Note : In step 5. User Name belongs to the Name of that Computer User .So this is the actual trick that you changed the old password with out knowing what was the old Password . I hope you will like this trick and i would like to request all the readers Please don’t use this trick in such way which can create problems for anyone.